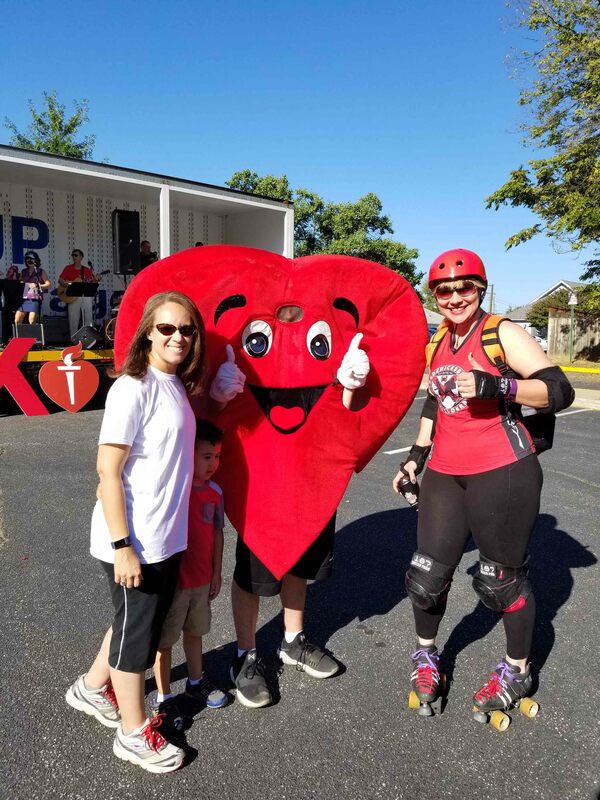 September 29, 2017 | Fredericksburg, VA — The American Heart Association Heart Walk and Festival 2017 was held on Saturday, September 23 at Quarles Petroleum’s corporate offices in downtown Fredericksburg. Heart Walk is the American Heart Association’s premier event for raising funds to save lives from this country’s No. 1 and No. 5 killers – heart disease and stroke. A total of $65,000 was raised this year, exceeding the AHA’s goal of $50,000. Quarles was well represented locally with over 70 participants, including associates, family members and friends, joining nearly 1 million Americans at 305 Heart Walks across the country to raise money and build healthier lives free of cardiovascular disease. Quarles sponsored and hosted the Fredericksburg event, and the Walk took place along Heritage Trail drawing over 400 visitors and participants. Live music was provided by Rick and the Arrhythmics, attendees enjoyed a picnic lunch, dogs in stethoscopes, and lots of fun for all ages. To learn more about the American Heart Association and Heart Walk, visit www.heart.org. Quarles Petroleum Incorporated has been serving residential and commercial customers throughout the Mid-Atlantic region since 1940. Major product lines include propane and heating oil, fleet fuel sites and services, delivered fuels and lubricants. With corporate offices in historic downtown Fredericksburg, Virginia and six division offices throughout the state, Quarles provides superior customer service and competitive prices to communities in Virginia, North Carolina, Maryland, Pennsylvania, Delaware, and West Virginia. For more information about Quarles, visit www.quarlesinc.com.